I wanted to write you a letter for you to read when you get a little older. I’ve said these things to you in my head a million times and thought it was time to put them down on paper. Right now you’ve just turned seven and are full of life, full of mischief, and also full of questions about your little sister and her Cystic Fibrosis. I just want you to know that I understand it’s not easy being the sibling of a child with a lifelong illness. I see the worry on your face when she’s not well and can’t stop coughing. I see the deep-thinking going on behind your eyes when you should be thinking about football or Lego instead. I know that you’re dealing with concepts and realities that should be way behind your years. You love your sister and worry about what it all means, as do I. But it pains me to think of you having similar thoughts. I also know that you resent CF some days. You even resent your sister at times! And that’s ok. You’re only human. And a seven-year-old human at that! It’s not easy when everything has to work around nebs and physio sessions, even when you’re not the one who needs to do them. It’s not easy when you’re told we can’t go here or there because it’s not CF friendly or because it will be too crowded and it’s cold and flu season. It’s not easy when your sister is in the hospital and you’re passed from pillar to post. These pillars and posts may be your Nanas or Aunties, all of whom you adore, but it’s still unsettling to not be in your own home with your family around you. And to wonder if your sister will be ok and when she is coming home. I feel such heavy guilt at times when I think about you and how your life has changed because of CF. You went from the world revolving around you as our firstborn, to having to fight for a look-in! Know that you are still my world and that, in truth, I admire you more than you will ever know. You sit at the kitchen table and talk with me about O2 sats and meds with such maturity and understanding. You tell your sister you can’t hear her blows during physio if I’m struggling to get her to do her Acapella properly. And she ALWAYS does the next one better because she wants you to be happy with her. You suggest games like Mr. Wolf to get her moving because you know it’s good for her lungs. You are such a crucial part of this family’s fight against CF; perhaps the most crucial. You don’t do these things because you have to. You do them because that’s who you are – a deeply caring person who always thinks about other people and how they might be feeling. That is a magnificent thing to say about a 7-year-old! Yes, there are days you’ve had enough and tell me ‘I wish no one in this family had CF!’ And believe me, so do I. Please let it out when you’re frustrated. It’s so important. I promise you that our house will always be open and honest and I want you to know that you can always tell me how you’re feeling, even when the feelings aren’t good ones. We are all so lucky to have you and I look forward to seeing you grow up into the wonderful human being that you so naturally are. 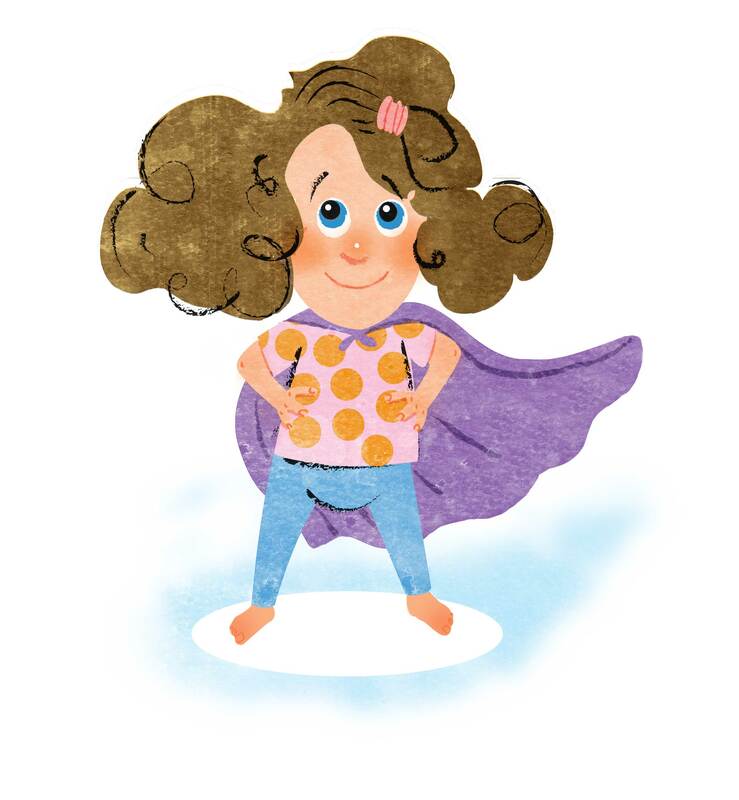 We always say that your sister is a Superhero for being so brave with her illness. But she’s not the only Superhero in the family. Sibling Superheroes are real too. And you are the most super of them all. Previous Can living with Cystic Fibrosis ever be ‘normal’?